The last time that the fantastic Roger Federer played at Roland Garros was in 2015. He went down in the quarterfinals and he seemed done at this event. He could certainly still win on grass, or on the hardcourts, but on clay, in Paris, the 20-time Grand Slam champion has only won it once during the last 15 years, while his great rival and Spaniard Rafael Nadal has grabbed it 11 times. The Spaniard locks in, he sprints around, he hits with a huge amount of pace and extremely heavy off the ground. Off the clay, he has also has his problems in recent years now, but on this surface he is still the man to beat. The 17-time Grand Slam champion Nadal has bashed Federer a number of times in the 16th arrondissement, as he attacks his backhand, extends points and runs forever on the dirt. In 2015, Federer was shocked by his good friend, Stan Wawrinka, in the quarterfinals. He’d never lost to Wawrinka on hardcourts or grass, where they had played many, many times. But that time, in Paris, on clay, Wawrinka’s monster backhand was on fire, and Federer could not control him. So he waited, and he waited. But something inside him wanted to return to Paris in the springtime, to slide and sashay on a surface where he grew up. Following this year’s Australian Open, he announced that he would be playing a limited claycourt schedule — Paris, and a warm-up in Madrid. At the beginning of April, Federer won Miami once again, and he was thrilled. But did it increase his odds to win the French Open? Federer will start in Madrid in a few weeks. Even if he wins it — and it’ll be his first event on clay in three years — can he still snag Roland Garros? It is possible, but he will not be the major favorite. Nadal has been injured this year, but if he gets healthy, then he and the massive forehand he possesses will be favorite. The same goes with the No. 1 Novak Djokovic, who has won 15 Grand Slams, and three in a row: the 2018 Wimbledon, the 2018 US Open, and recently the Australian Open. He badly wants to do the Djokovic Slam again, so he can show the world that he might be the best player of all time. Outside of those three, there are a few young players who are rising. 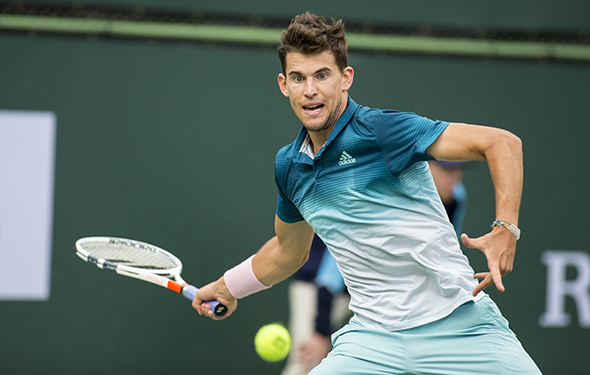 Dominic Thiem, who won Indian Wells, is at his best on clay and the Austrian has reached the French Open final. The German Alexander Zverev is ranked No. 3, and he has won a few ATP 1000 Masters, but in the Grand Slams, he has yet to get beyond the quartefinals. But Zverev is a huge basher on both sides, and when he is confident, he can hang around in the rally for a very long time. Soon enough, he will go deep at majors. 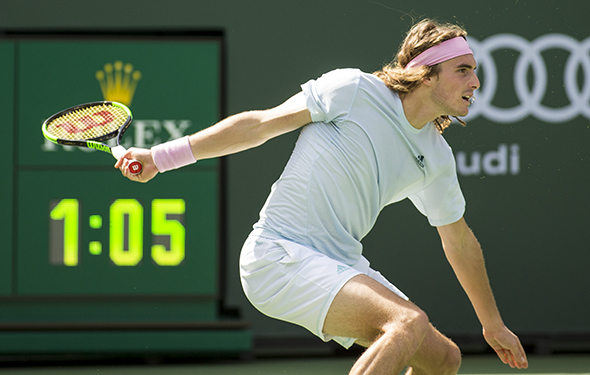 The Greek Stefanos Tsitsipas is only 20 years old and recently cracked the top 10. Like Zverev, he can be patient, but anytime he has an opportunity, he can aim for the lines and touch them. Two other very tall youngsters are getting better all the time: Russians Karen Khachanov and Daniil Medvedev, both of whom are in the top 15. 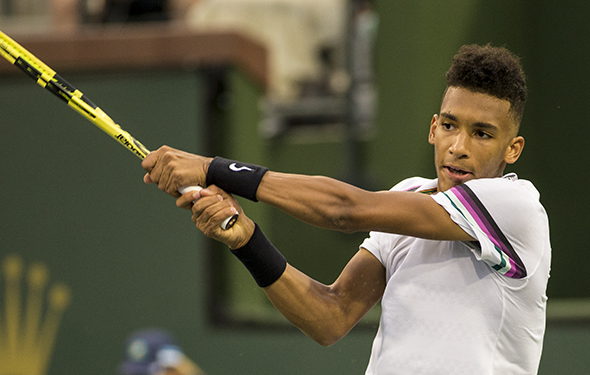 And others, like Canadian teenager Felix Auger-Aliassime, are also coming up. Ten years ago, in 2009, the now 37-year-old Federer won the French Open. The established champ Nadal was stunned by the Swede Robin Soderling, while Federer had to come back from behind against Germany’s Tommy Haas and Argentina’s Juan Martin del Potro (who is still there, but is currently injured). In the final, the smart Federer out-thought Soderling to lift the Roland Garros title for the first time and complete the career Slam. He still looks at it as one of the best wins of his career. Ten years ago, on clay, Federer was super confident. Perhaps he still is. It is early to know exactly who he would play during two hard weeks at Roland Garros. But if Federer starts playing extremely well, then whoever goes up against him has to play at a top level to trip him up. If he does not, Federer will knock him down quickly. After all, when he walks on the court, Mr. Roger Federer can be simply brilliant. And he likes to smile, too. Roger Federer was dominant again. In Miami, he was darn good, almost every match, crushing with his hard-to-read serve, his spinning backhand, his massive forehand, and he was intelligent at the net. He is 37-year-old now, but he really isn’t aging on court. He is not slow, and he can slip to catch it. He is very sharp, and he locks in. Federer has won 20 Grand Slams, and he has now won 101 titles. That is huge. In his last three matches n Florida, he easily beat Kevin Anderson, Denis Shapovalov and John Isner. They couldn’t figure him out. Maybe they never will, until Federer retires. A few years ago, Ash Barty was out of it, she quit the sport. She decided to move back home in Australia, and she joined the cricket club. She liked it, she likes all sports, but in her head, she knew that she had to recreate it, and then she walked into the tennis court. She just wanted to hit the ball, and run, until she was comfortable again. She decided to comeback in 2016, and it took her a long time to understand that she is really good: fast, strong and a tremendous variety. 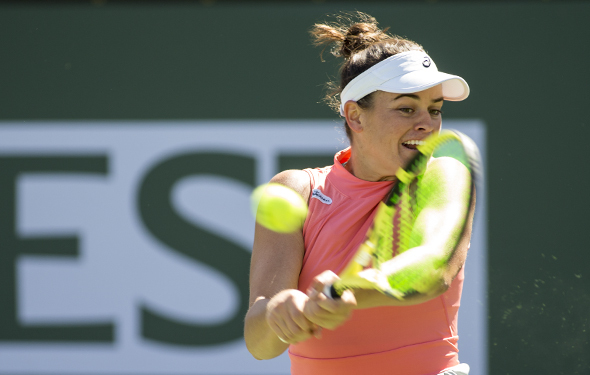 On Sunday, Barty won Miami, her biggest title, dispatching Karolina Pliskova 7-6(1) 6-3 in the final. She knocked out three top 10 players: Kiki Bertens, Petra Kvitova, and Pliskova. She wore them down, all of them. Now Barty is ranked No. 9. She rarely loses early anymore, and for the rest of the year, she will have an opportunity to win a Grand Slam. Can you imagine that? Maybe at Wimbledon or the US Open. Now, she thinks on court and she doesn’t get nervous anymore. The is important, to say the least. FROM INDIAN WELLS — The famous Roger Federer moved on Wednesday, easily beating Kyle Edmund 6-1 6-4, swirling around, attacking, sprinting. The 20-time Grand Slam champion is now 37 years olds, and while he is a tiny bit slower, he still is very fast, and each year, he gets even smarter. Assuming that he will be healthy — which he usually is — Federer will win some big tournaments this year. 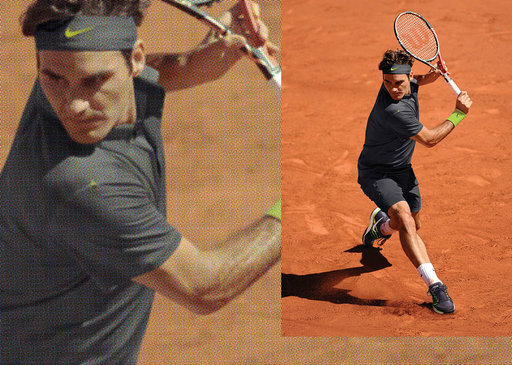 His serve, her forehand, his return, his volley and even his shank backhand are almost perfect. Not every day, but darn close. Yes, the other Slam winners can beat him, specifically Rafa Nadal, who is still in the mix. They may face off against each other on Friday in the semis. That would be some kind of a match. Federer has won 100 titles. That is huge, and he could retire immediately if he wants to. But he wants to continue, because he loves to play. The same goes on with the eight-time champ Venus Williams, who is 38 years old. She is also still here, having reached the quarters. They may not be No. 1, but at least they are close against anyone. They just want to have fun. Federer said, “I think, number one, you’ve got to be happy to be on tour. It’s very simple, because usually you’re not at your career high, ranking-wise, anymore at that age. S,o you have to pick on something else that’s exciting for you, whatever that may be: travels, match play, whatever, practice, life on the road. So, you’ve got to be passionate about what you do. I feel more guys and more girls are really actually enjoying that part of the tour, which before I felt players were happy to do something else, which is cool, too. Federer works out all the time, practicing, figuring out how he should play. He can slice his backhand, top it, or smash it; he has a tremendous variety. When he is returning, he can guess which way he should go, to the left, or the right, or stay there if the opponent is attempting to try to hit it on his chest. As long as he stays in the top 10, he will be under control. As Federer has said, it is not all about playing, or practicing, it’s about finding your body. Federer will face against Hubert Hurkacz, the rising Pole. Nadal will go up against Karen Khachanov, who is about to crack into the top 10 next week. He took down John Isner in straight sets. 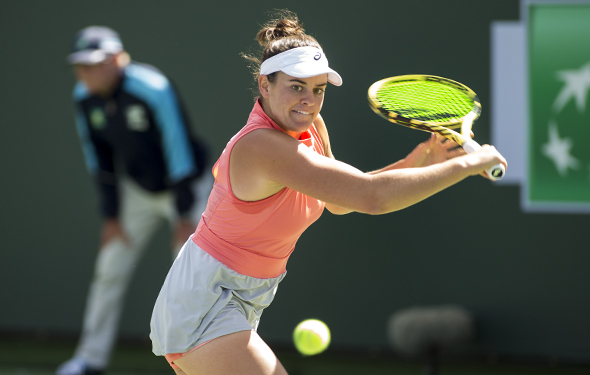 Eighteen-year-old Canadian Bianca Andreescu blew out Garbine Muguruza 6-1, 6-0. How the heck did she do that? All of Andreescu game has improved a lot this season. She’s versatile. Elina Svitolina did it again. 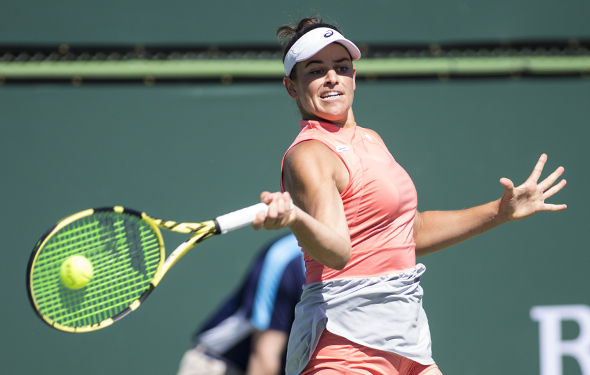 Two days ago, she edged Ashleigh Barty in three hours and 12 minutes in a punishing three-setter. 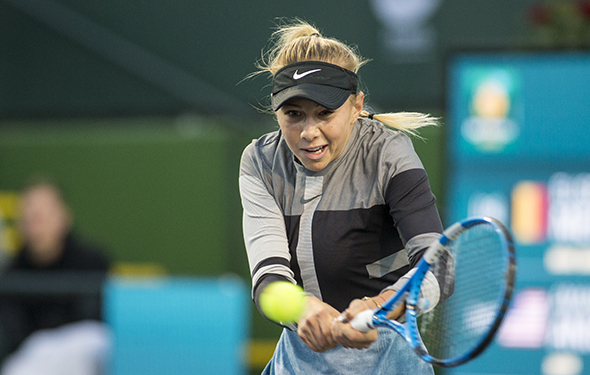 On Wednesday night, she overcame Czech 19- year-old Marketa Vondrousova 4-6, 6-4, 6-4 in over two hours. Svitolina just doesn’t get tired. She will push to try to become No. 1, but will probably need that elusive emergence in a Slam to do it. 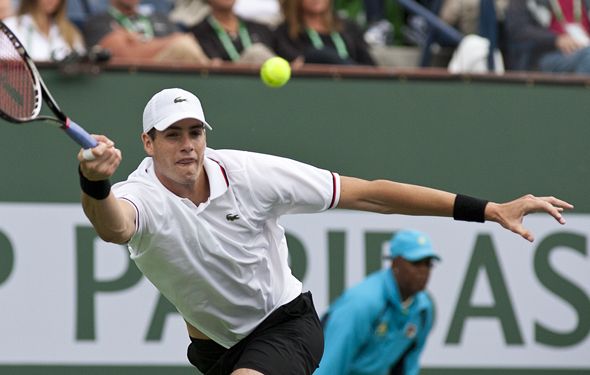 FROM INDIAN WELLS – The US men only have one left in California, John Isner, who has banged himself into the quarters. He did very quietly, for whatever reason, as he has gone deep here before, but in the first two months, he was struggling and losing his touch. However, in the desert, he began to pick himself up, not becoming upset when he is missing his shots, but to re-set in the next point. Now he has won three in a row, which is important, because he can drop his chin down and mope if he is losing. 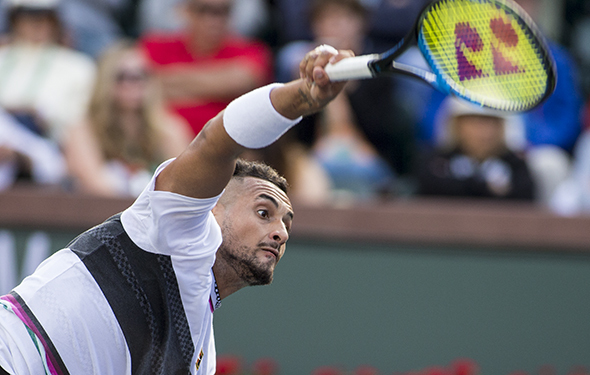 He has won an ATP 1000 last year, in Miami, the first time that the 33-year-old finally did it. He has yet to reach in the final at a Grand Slam, and each year, it gets harder and harder to achieve. Bu,t he is still trying to add some new shots and better shots, like his backhand and his return. He realizes that if he has an opportunity, he has to attack immediately. He isn’t quick, as he is very tall, but when he manages to get close at the net, he can put it away, even if he has to bend low. Perhaps the most important thing for Isner to improve is his return, on the first and the second serve. He rarely breaks. On Wednesday he will face the No. 12 Karen Khachanov, a Russian who is very steady. There will be more pressure on Isner. Venus Williams has not been playing much over the past couple of months, which is unusual for her. She is 38 years old, and over the past couple years, she can break down physically. Here, she won four fine matches, upsetting Petra Kvitova, and beating Christina McHale and Mona Barthel. She may not be 100 percent physically, but good enough. “I think once I walk out there on the court, that’s my main focus, what I need to achieve in that match and I try to block anything else out. I need to do what I want. 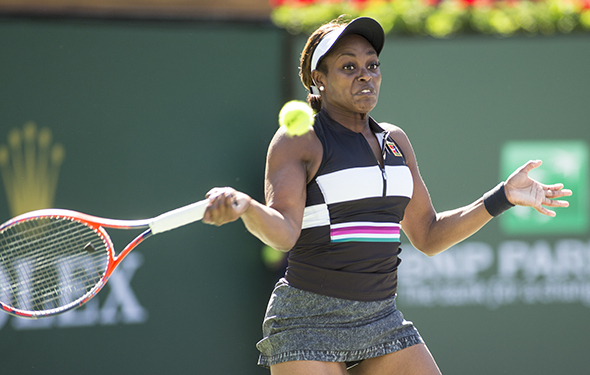 And what I want is to play the tournaments I want to play,” Venus said. However, this year, she is cutting down the tournaments. Maybe she will continue to play until she is 40 year olds, or even later. Or if she gets significantly hurt, she could retire. It is a toss-up. But, she will not play all the time, as she has done it during the past 21 years. “Probably somewhere around 12 [tournaments],” she said. 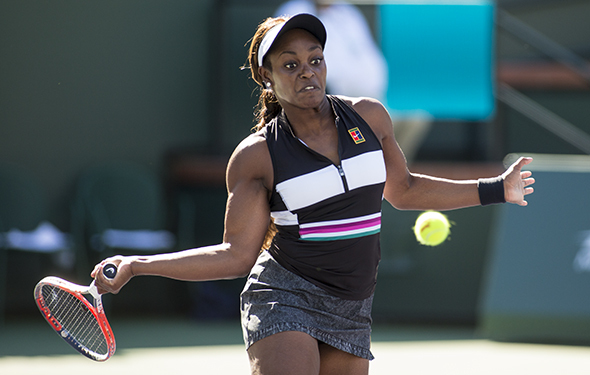 Venus will face Angie Kerber on Thursday. That should be a bang-up match. 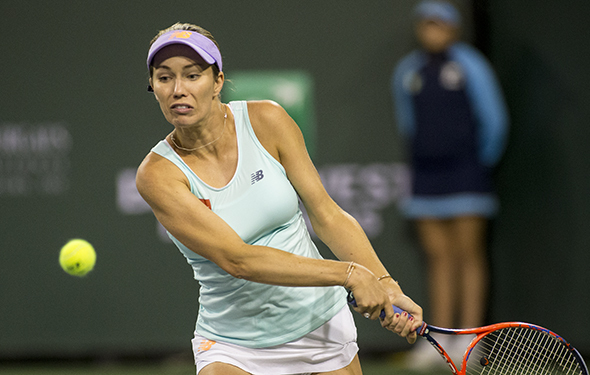 It has been highly unusual that the top players have lost before the semis. It happens once and a while, But, on Tuesday, guess who lost? Two of the No. 1s: Novak Djokovic and Naomi Osaka, the former No. 1 Simona Halep, and the former 2016 US Open finalist Kei Nishikori, along with the 2016 US Open champ Martin Cilic. That is unusual in the desert and it may never occur again, over in the next 100 years. 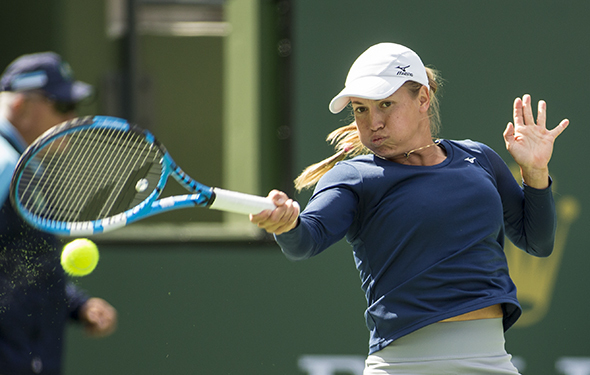 FROM INDIAN WELLS, MARCH 11, 2019 – More and more, Belinda Bencic is becoming much more confident and knowledgeable. The Swiss was really struggling over the past few years, because she was hurt a lot, and when she returned, she needed to re-think her game. 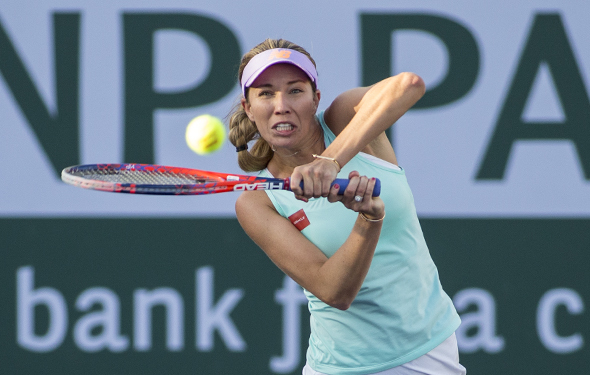 She played a lot of tournaments in 2018, playing whenever she could. She knew that eventually she would feel her legs. When she swings, and where she returns, she is blasting her shots. Back in 2016, she cracked the top 10. She won Canada, beating a bunch of excellent players. It looked like she could eventually become No. 1. But, she hasn’t … yet. Can she return to the elite? On Tuesday, she looked the part and crushed No. 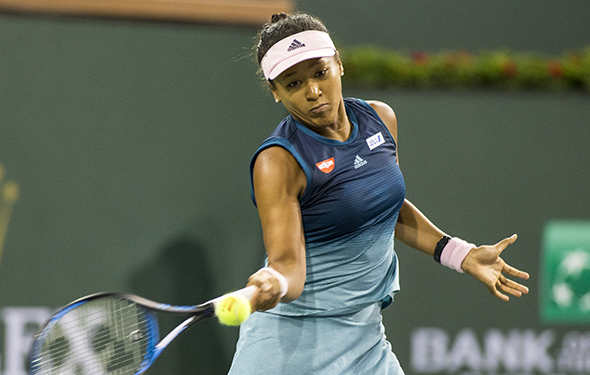 1 and defending champ Naomi Osaka 6-3, 6-1. 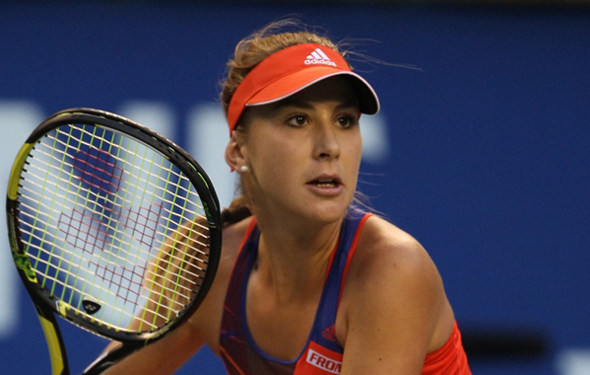 Bencic takes a little more time, and she likes some long rallies, but she has to push herself in front. Osaka does, and that is why she has won two Grand Slams. Bencic has not, so in order to even further, she has to mix it up more and then when she has a chance, she can crack the ball. After her win over Ekaterina Alexandrova, the Swiss said about playing Osaka, “Definitely a big opportunity. I always like to play on the big courts, I like to play the big players. I really enjoy that, and that’s what I work for. We try to push each other. One is doing well, so you’re motivated to do well again. Some other good wins today including Venus Williams, Karolina Pliskova, Angelique Kerber and Aryna Sabalenka. Mona Barthel, a veteran who plays all the time, almost every week, and she has lost so many matches over the past few years, but now, she hangs in there and battles. Almost six years ago, she was ranked in the top 25, winning a couple events. Now she is ranked No. 97. Is she ready to leap forward? We will find out next week. Milos Raonic barely escaped the American Marcos Giron 4-6, 6-4, 6-4. He looked a little timid, but in the third set, he finally took over the corners. 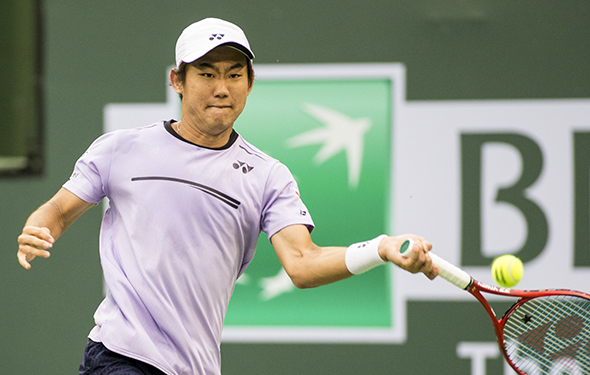 That was a fun win by the Japanese Yoshihito Nishioka, edging Felix Auger-Aliassime 7-6 in the third. That was darn close. 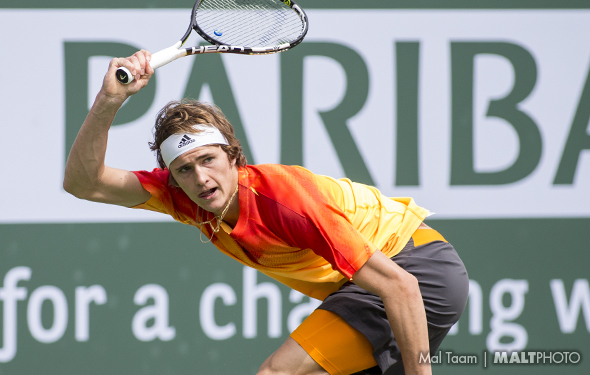 … Alexander Zverev apparently is sick, so he went down easily against Jan-Lennard Struff. 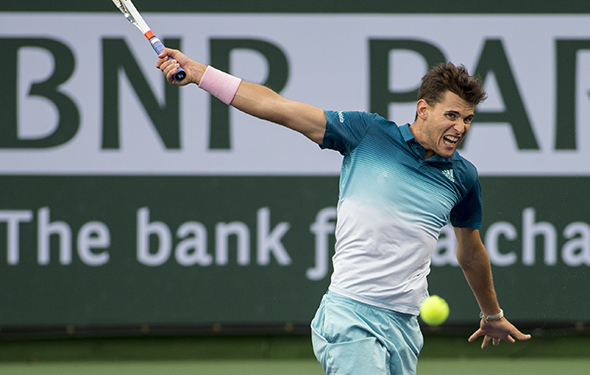 Everyone is ill. … After he struggled in South America, Dominic Thiem is playing better and now he could reach semis. FROM INDIAN WELLS – Novak Djokovic is standing tall. Clearly, he is the favorite as the Serb has won three straight Grand Slams. However, the ATP 1000s are very tough, as all the players want to compete — if they are healthy enough — and to win it; you have to be on top of the ball. 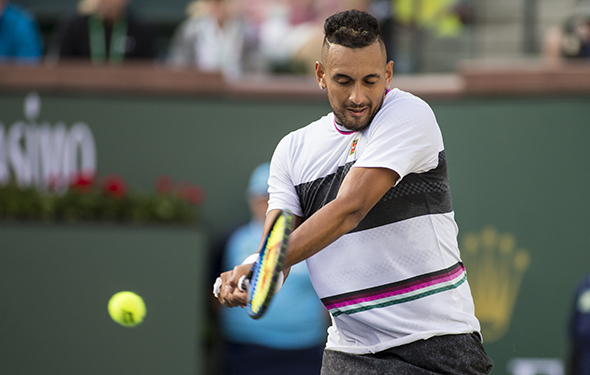 On Monday, Djokovic will take on the other veteran, Philip Kohlschreiber, who just knocked off the sort-of- young player Nick Kyrgios, 6-4, 6-4. The Aussie recently won Acapulco, perhaps his best week ever, but six days later, as he said, he was mediocre. But that is what happens. He couldn’t rise up, and the steady Philipp did. Djokovic is the clear favorite against the German. His serves are much better, as well as his super deep backhand, and his intelligent returns. 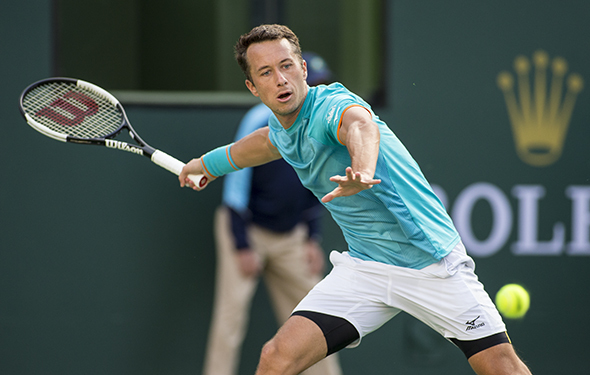 Kohlschreiber is still quick, and he has rarely become hurt. He knows the entire game, or close enough, and he also knows that he has to play spot on. Perhaps he will, but can he bother the 15-time Grand Slam champ Djokovic? Very doubtful. On the top half, only one has won a Slam — Djokovic. There are a few have had a legitimate chance to grab it: Dominic Thiem, at the 2018 Roland Garros final, and Milos Raonic, at 2016 Wimbledon. Neither has won an ATP 1000 ever, but we would think that they can snap their drought this season? How about during the next week? Thiem can really hustle, even though he likes clay more than hard courts, while the Canadian can nail his serve, and crush his forehand. But they are not ranked in the top 5, which means they have to step it up. Two others are on the top half, the No. 3 Alexander Zverev and the No. 18 Gael Monfils. Zverev has won a few ATP 1000s, which is why he is in the top 5, but he has never gone deep at the majors. The Frenchman has reached the semis twice in Paris, and he has had some fantastic wins, but he can get hurt frequently, and his backhand has been so-so for many years. But he can run forever, back and forth. Raonic and Zverev could face off on Wednesday which is a very close contest. Whomever wins, next Friday, they will play against Djokovic, assuming that Monfils won’t stun the Serbian. 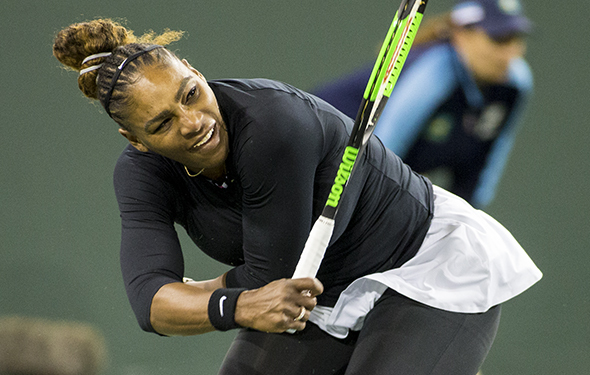 Serena Williams became hurt again, with the fever. Over the past month, almost everyone has had the fever. That stinks, on court and off. Things are changing through the world. There is absolutely no doubt about it. Remember, all the players, the women and men, exercise all the time, and that is fantastic, but that doesn’t mean you can control a fever. You just have to deal with it. Serena hasn’t played enough this season. If she wants to win another big event, she has to push herself, a little bit more. She has won 23 Grand Slams, but the last time she did that, it was two years ago now, at the 2017 Aussie Open, winning it, and then she went to have a child. That was the last time that she won a major – and I am sure she will get another – but exactly when? It depends on her body and why she wants to continue, but I get she wants to tie with the controversial Margarete Court, at 24 majors. There will be some excellent matches, with the No. 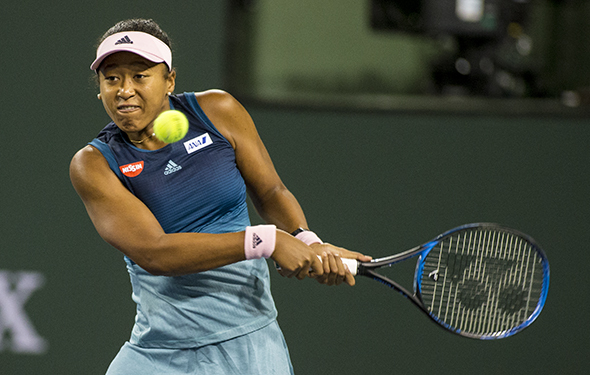 1 Naomi Osaka versus the American Danielle Collins, Venus Williams against Christine McHale, and the rising Aryna Sabalenka, who will play against the vet Lesia Tsurenko. Osaka won the tournament last year, and at that point, we knew she was very good. But great? We didn’t know that yet. But she won the 2018 US Open, and then the 2019 Australian Open. While she can be very emotional, she can really concentrate. On court, she can be very cool and calm. Collins has also become substantially better, which is why she is ranked No. 25. Today, she really believes in her ability. Will it last forever? Probably not, but in United States, you can be overjoyed. Venus Williams is aging. We all know that, but she doesn’t not give it in. She was down a set, and a break. 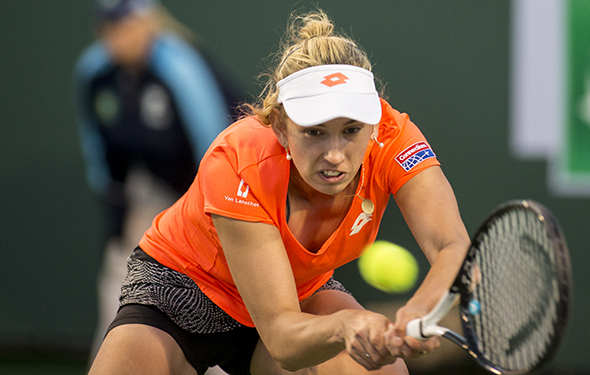 She kept moving forward, and somehow, she fooled Petra Kvitova and won 6-4 in the third. Venus can look amazing, and then there are days when she is a little bit slow. I think that she will continue to play until she is 40 years old, and then finally, she will wave goodbye. She has had a fascinating career. Sabalenka is the youngest player in the top 10, only 20 year olds. She loves to bang and she swings very hard. She wants to end it, quickly and fast. She knows she is so close to beating all the players, but she has to add more to her game. Like at the net, her second serve and spin. Already, in February, there are a couple major injuries, like Maria Sharapova and Juan Martin del Potro. They won’t play at Indian Wells, and the Russian/American won’t go to Miami, either. 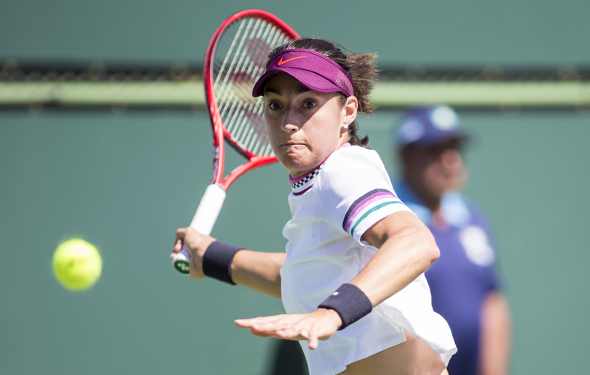 The Argentine pulled out of Acapulco and Indian Wells. Whether he will return in Miami is up in the air. There are some fine events this week. On Wednesday, Roger Federer took down Fernando Verdasco in three sets in Dubai. Somewhat casual, because he knows how to wear down his backhand. He did, and in a few days, he could win it all, and then, he will have 100 titles. That would be terrific, but he is asked about it, everyday. So, as he has said, he may not be nervous, but a little bit tight. 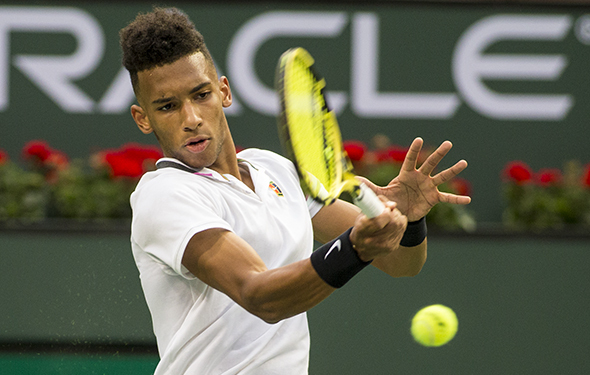 On Thursday, it took him almost two hours, and he survived the young Hungarian Marton Fucsovics 7-6(6) 6-4. Tick, tock. In the other half, the best young player, the No. 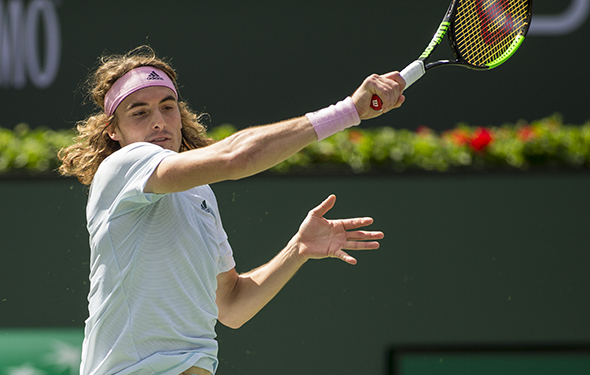 11 Stefanos Tsitsipas, will face Gail Monfins in the semis. That should be a blast. he gets hurt all the time, so in order to win this tournament, he has to be patient and never give in. But, the Australian remains hot, knocking off Stan Warinka in three sets. He’ll face John Isner in the semis. On Thursday he will have to face the Swiss, Stan Wawrinka, at night. 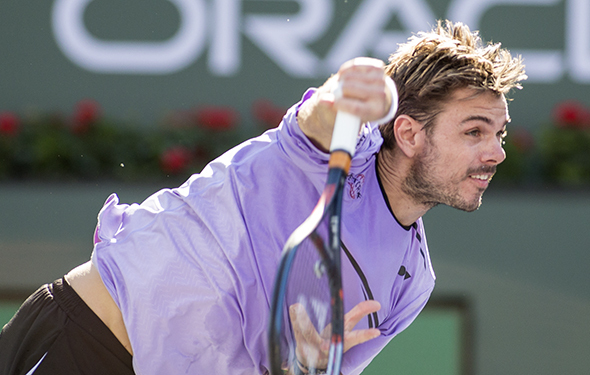 He will have to dig, because Wawrinka can return when he is locked in. 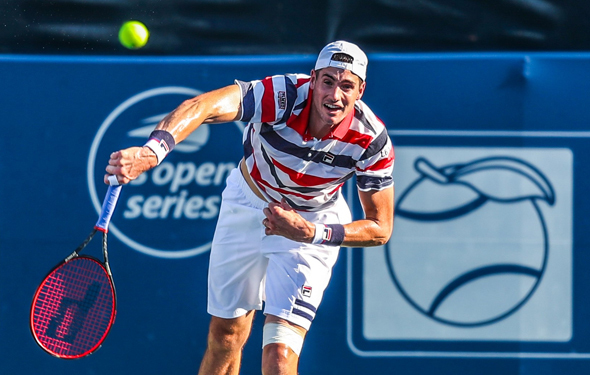 Isner beat his good friend, Sam Querrey, 6-4, 6-4. Querrey hasn’t done much this year, and Isner hasn’t either, but at least he has won a few wins in the past two weeks. 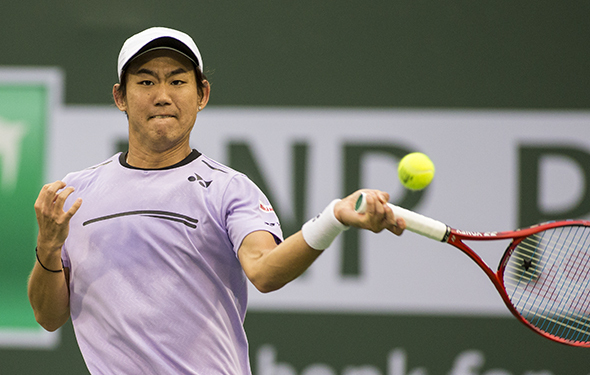 In order to win the tournament, which will be tough, as a number of good players are still there: the Brit Norris, the Aussies Millman and Alex De Minaur, and the other American, Mackenzie McDonald, who upset Tiafoe in three sets. And of course, guess who will face De Minaur today? Alexandra Zverev, who has won some gigantic matches last year. But he can be somewhat inconsistent, and great, spending on the day. 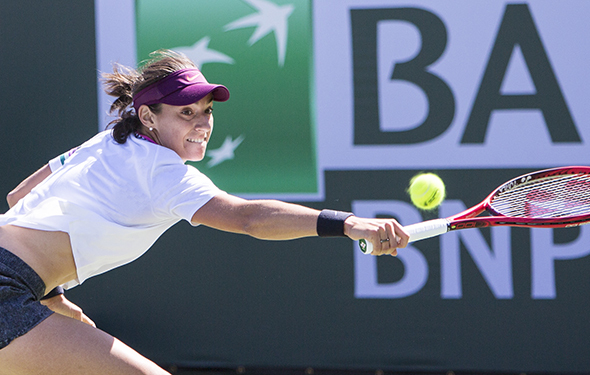 Brazilian Beatriz Haddad Maia upset Sloane Stephens in Acapulco. The American hasn’t done great this year, she has played four tournaments and she lost against decent players, but not fantastic players. 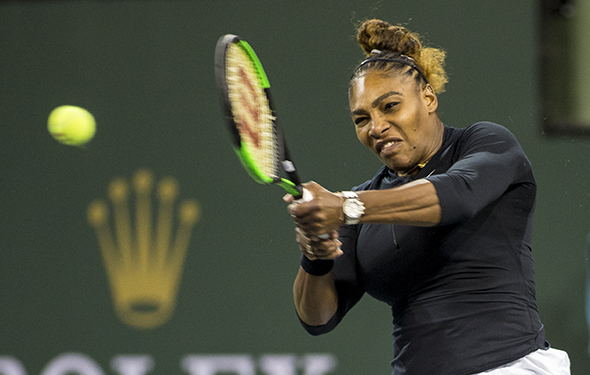 At Indian Wells she has to step on the gas. 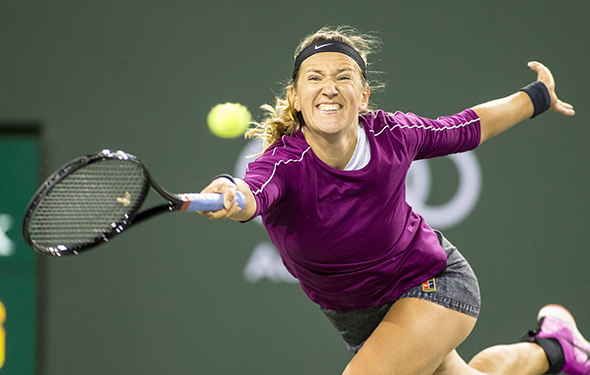 Vika Azarenka took a wild card, and she crushed Danelle Collins, who reached the semis at Australia then goes down again. 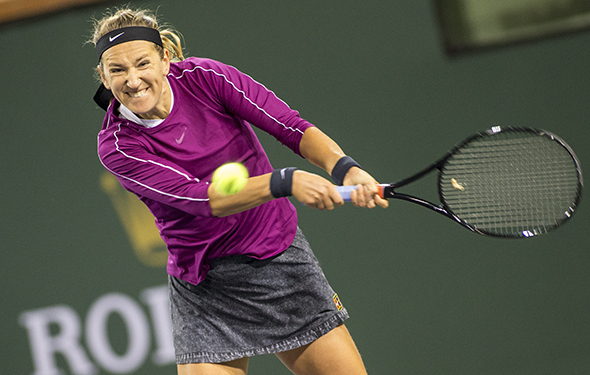 Vika still hasn’t gone deep enough in the past year, but she had a baby, so it takes a long time to recover. If she wins Acapulco, then she will be almost back. She will face Sofia Kenin on Thursday. 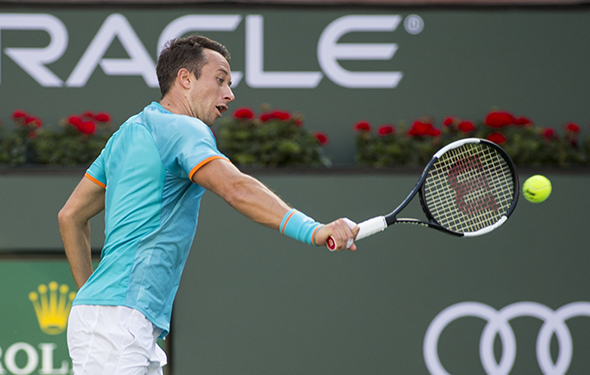 At Indian Wells, the Oracle Challenge is going on this week. It is different now, with more people, every year, it is gigantic. People will fly from all over the world. Twenty five years ago, there weren’t as many people. But they moved, very close in the desert, and they started to build. It is so muc better and bigger now. It is spectacular. Qiang Wang is the top seed.